Mega-selling author James Patterson announced last fall that he would be donating $1 million to help independent bookstores; last week he began giving out the money. According to Publishers Weekly, the first chunk of $267,000 was disbursed to 54 stores in payments ranging from $2,000 to $15,000.  Some stores applied for the grants via Patterson’s website; others were recommended to him by author friends such as R.L Stine and Kate DiCamillo (the new the Library of Congress’ 2014 –2015 National Ambassador for Young People’s Literature). The stores chosen for grants will use the money in a variety of ways, from replacing carpet to rewarding hardworking and underpaid employees to creating streaming video of in-store events to purchasing a bookmobile for off-site sales. Pub Hub spoke with Meghan Goel, Children’s Book Buyer at BookPeople in Austin, TX, one of the Patterson grant recipients. Goel was the force behind BookPeople’s proposal and discussed the impact of the gift. Pub Hub: Tell me something about the process of requesting the grant: did you apply via Patterson’s website? Did you ask for the funds for a specific purpose? Meghan Goel: We actually asked for funds to help us grow a program that we started this year to bring book based curriculum enhancements into Austin schools. We are currently running a pilot program with 40 Austin schools to expand upon local author Shana Burg’s book Laugh with the Moon by providing art, music, and social studies curriculum enhancements and connecting over 3500 kids with Malawi pen pals. It has been such a success that we are currently putting together a committee with Austin Independent School District to collaborate on these kinds of programs annually. PH: Did you have any indication ahead of time that you might be selected? How were you informed that you were chosen? MG: We received a heads up that we were on the list for final consideration a few days in advance and then found out for sure just before the announcement was made public. It was exciting! PH: Has the actual check arrived? How did you and your staff celebrate? Has there been much community reaction to the grant? MG: Yes, it arrived at the store on the day of the big public announcement. The Austin newspaper ran an article about the award, and I think it’s generating excitement. The pilot program has been a big hit with teachers and students, so I think that people are looking forward to seeing what we can do with more resources. PH: How will you use the money? How much does this matter to your store? 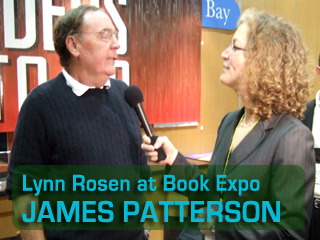 MG: I think it’s incredibly valuable that James Patterson is so publicly championing the work of independent bookstores, and we are so grateful for his generosity. This program BookPeople is starting is just one example of the many ways indies around the country get out into their communities every day to connect with readers, build literacy, and share a love of books. ** It’s a remarkable action by a writer who, as one newspaper story pointed out, does not rely exclusively on the indies to sell his books. He joins other high profile authors such as Richard Russo in speaking out against the hold Amazon has on bookselling and to support and attempt to sustain the world of independent bookselling. “Every day, booksellers are out there saving our country’s literature,” Patterson is quoted as saying. From the introduction of the Barnes & Noble superstores, complete with deep-seated, stay-a-while furniture and latte-creating cafes, through the meteoric growth of Amazon and online retailing in general, and the upswing in ebook adoption dating from Kindle’s 2007 entry into the market and the iPad in 2010, indies have been on a much lamented downswing. Advocate now tout their rebirth, however. 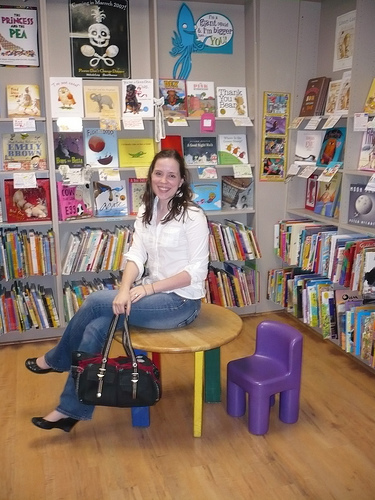 According to the American Booksellers Association, 45 new independent stores opened in twenty states in 2013, and fourteen established stores were bought by new owners, all of which the ABA sees as a tremendously positive sign. Patterson’s contribution to indie bookstore health is significant, and it will be interesting to see how the rest of the money is allocated and how bookstores use this boost to continue their upswing. One final note: several years ago at Book Expo I had the opportunity to interview Patterson on camera, which was great fun. Here’s a pic of me talking to this generous and funny author!